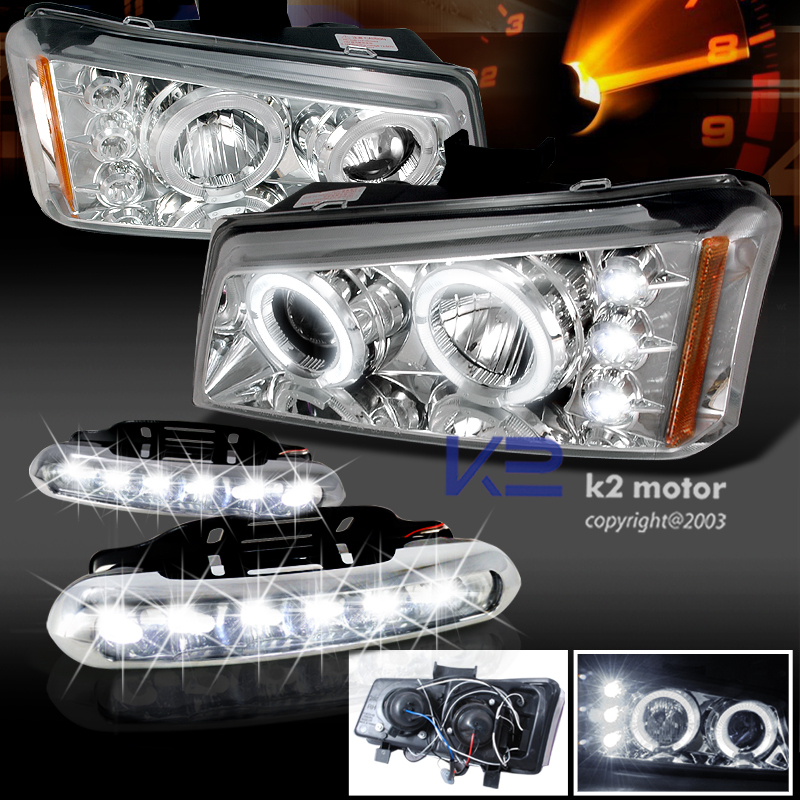 BRAND NEW 03-06 Chevy Silverado Halo Chrome Projector Headlights + Day Time Running Chrome LED Fog Lights! 2003-2006 Chevy Silverado is a very popular truck. The Silverado truck can now be changed out with a new set of chrome projector headlights. These headlights come with a luminescent ring called a halo or angel eyes. The halo rings are also complimented by the LEDs that are on the side. The lights comes with helpful videos that can assist you with self installation on the lights. You can save on the installation and the Silverado headlights are just a fraction on the factory lights cost.